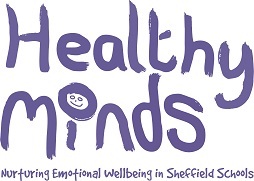 Your child's school is working with Sheffield Child and Adolescent Mental Health Service (CAMHS) as part of the Healthy Minds framework to improve links between mental health services and schools. We are hoping to improve services to enable children and young people to have their mental health and emotional well-being needs addressed at the earliest opportunity both within your child's school and across Sheffield. We would very much like to include your feedback in understanding the needs within your child's school. Children and staff are also carrying out the questionnaire. We will be writing reports that we will share with commissioners and the evaluation team at the University of Sheffield. It will not be possible to identify you or your child from your responses. If you have more than one child at participating schools, you can fill in more than one questionnaire if you believe it would be helpful.